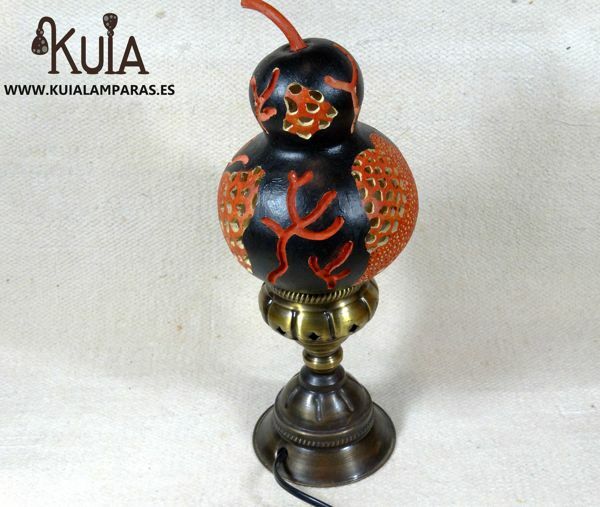 Turkish table lamp, with brass base typical of Turkey. 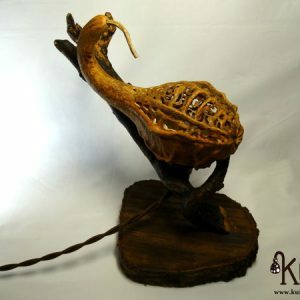 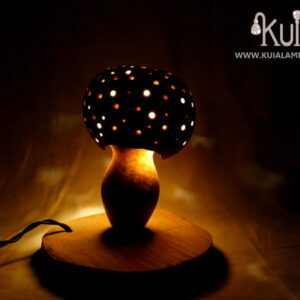 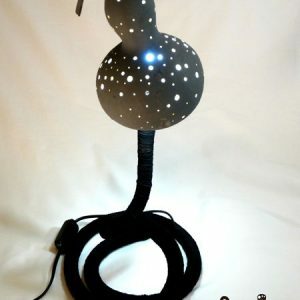 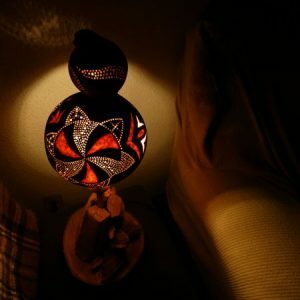 Ethnic table lamp that recalls a little African lamps. 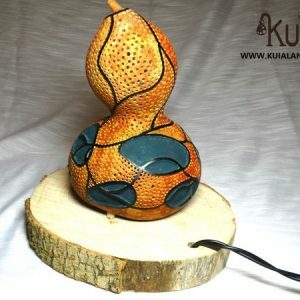 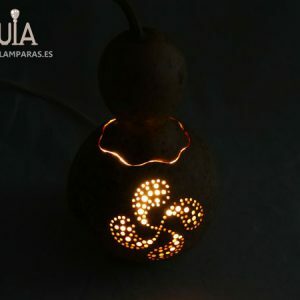 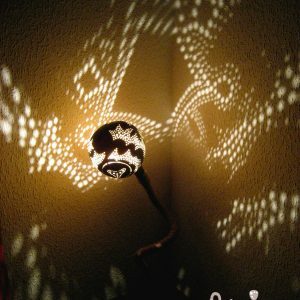 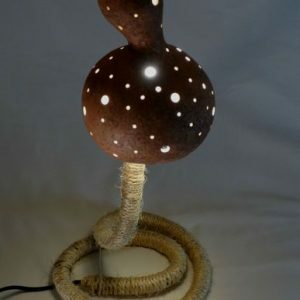 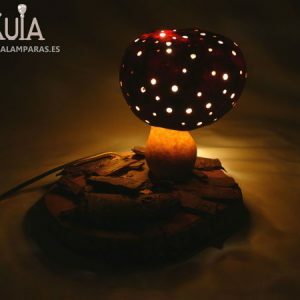 This carved with holes that resemble the bee’s honeycombs where emits ambient lighting for any interior.His carvings, which when turned acquire a reddish color make this lamp an exceptional element for ethnic decoration.Gourd lampshade is easily removable thanks to the docks of the base.